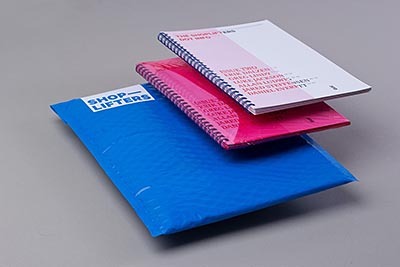 Horrible Bodies is now available at Printed Matter. Shoplifters Issue 2 out now! Designed by Davis Ngarupe, featuring myself along with Greg Lindy, Luke Jackson, Allan Ludwig, Jared Steffensen and Daniel Everett. Pick up a copy at theshoplifters.info. New book has been added to site and is available for purchase in limited supply. I have a couple pieces in Family Dinner group show. 2 Days Only! Come One, Come all! @ 34 Ave. A Between 2nd and 3rd St.
Black Flag/White Flag will be in the group show All of the Above. I will have a couple of pieces in TAMIZDAT, an independent press exhibition presenting around 400 text-based, self-published art pieces from all over the world. I am participating in a group show at Aviary Gallery in Jamaica Plain, MA opening November 1, 2012. Please stop in if you are in the area. Completed my MFA in May. Works from my thesis show have been added: Portal, Practice, and Portrait. 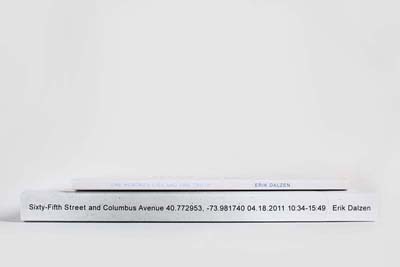 Humble Arts Foundation and The Magenta Foundation present Small Prints featuring works by Adam Burton, Adam Krause, Alexander Harding, Alexander Perrelli, Amelia Bauer, Amy Elkins, Andrew D Musson, Andrew Fladeboe, Anthony Smith, Barnett Cohen, Beatriz Diaz, Ben Alper, Bobby Davidson, Cait Oppermann, Carmen Kende, Curtis Hamilton, Erik Dalzen, Erik Schubert, Grace Kim, Grant Willing, Heather Cleary, Ian Hall, Jacob Koestler, Jen Davis, Jessica Harvey, Jon Phillip Sheridan, Joshua Simpson, Joy Drury Cox, Kirsten Harkonen, Lauren Marsolier, Leah Oates, Liz Nielsen, Magali Duzant, Marc Fichou, Maury Gortemilller, Melanie Flood, Millee Tibbs, Nat Ward, Quinn Gorbutt, Rachel Stern, Robin Myers, Rose Dickson, Sam Logan, Sara Cwynar, Scott Grover, Shane Lavalette, Tommy Kha, Tracy Hoffman, Yoshi Kametani, and Zach Nader, curated by Amani Olu and Jon Feinstein. 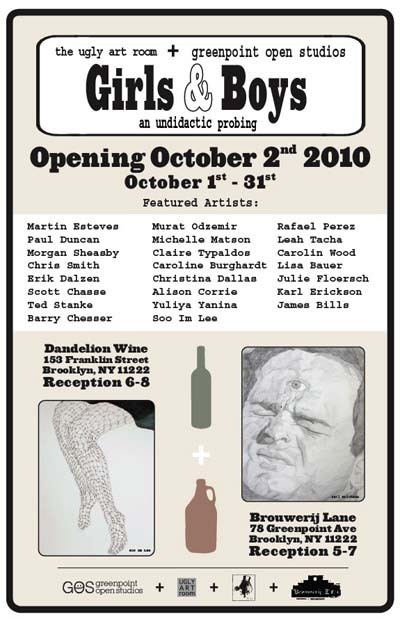 Please join me Spring 2012 Hunter College MFA Thesis exhibiton. I will be graduating along with 30 other talented artists and would love to see you at the exhibition. The Bruce High Quality Foundation, Vito Schnabel & Erik Dalzen invite you to the opening of the single most important art exhibition in the history of the world. Ever. Peripheral Visions: Italian Photography in Context, 1950s-Present opens February 3 at the Bertha and Karl Leubsdorf Art Gallery at Hunter College. I helped organize the exhibit and contributed an essay to the catalogue. Show runs through April 28. Web site has been updated to include artist books. Two titles are currently available for pre-order, Sixty-Fifth and Columbus Avenue and One Hundred Lies and One Truth. Books will ship towards the end of August. Ugly Art Room has constructed a 6' x 6' x 6' structure on Bedford Avenue in Brooklyn. This claustrophobic cube houses the miniature works of 17 artists. Each artist has been given 5" x 5" wood panels pre-drilled with a hole in each. Completed works are bolted to the interior walls of the "gallery" and the public is welcome to enter the cube to be a part of the unsettlingly awkward "opening rejection." 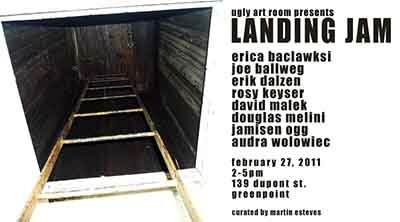 Write up for Landing Jam featured on Hyperallergic including pictures and video from the show. Thanks to everyone who was in attendance. Sunday, February 27, 2011, 2-5pm. Website has been updated with current body of work. This is work in progress with additional examples and a statement to follow forthwith. I have a piece from Some Things included in Inanimate Pictures at Guild Gallery II. 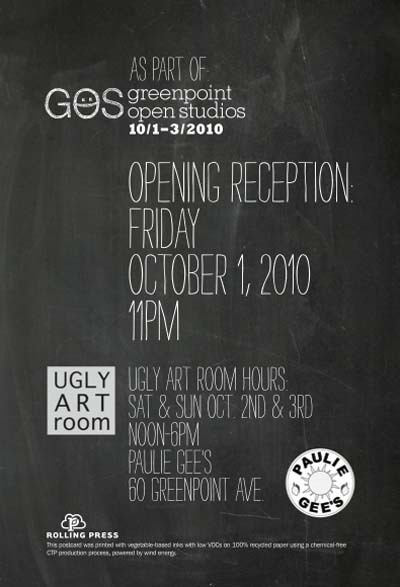 Show is open December 16 - February 25, 2011. Reception is December 16 from 6 - 7:30pm. 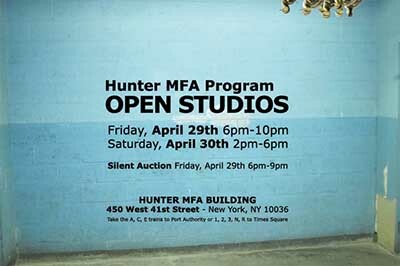 Time again for Hunter MFA Open Studios. If you are in town please come and say hello. November 19th and 20th: 6-10pm Friday, 2-6pm Saturday. I have some work opening in two shows this weekend. If you are around please drop in a check them out. 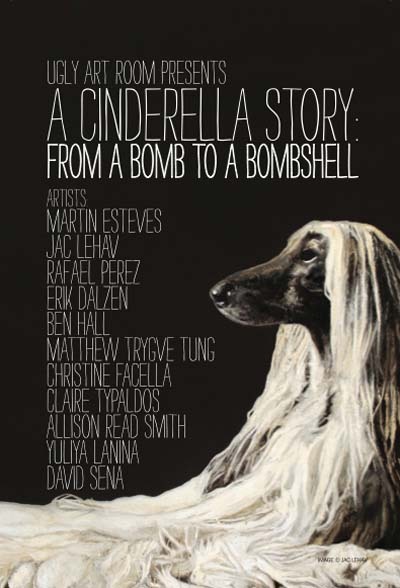 I will be debuting new work in the Cinderella show that is part sculpture part happening part collaborative art experience. It is sure to be a blast. The Girls and Boy show will have a few pieces from Commodities which will be the first live auction rendition to date. Bidding will start at $1 and will be open during the duration of the show so be sure to drop in and place your bets. Happy to have this new little home away from home. Studio visits welcome. 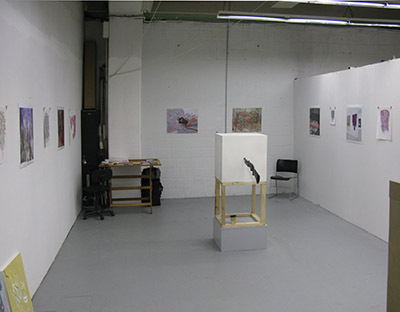 Here is a little peek of Some Things on display during Open Studios in case you missed it or if you want to relive it. The MFA program at Hunter College will be opening its doors once again to the public. Two nights, lots of art, silent auction, etc. Please come and say hello. I am excited to be exhibiting this weekend along with the hundred and something other MFA students at Hunter College during Open Studios. Please come and check out my latest work and that of my peers. It is an excellent time to see the behemoth that is the MFA building and to peruse the bouquet of work found within. I enjoyed my inaugural studio visit (apart from faculty and peers) today with Sharon Lockhart. After being smitten with the work of Joachim Schmid several years ago, it was wonderful to be able to meet with him for lunch today. I am all moved into my new studio. Contact me if you are interested in a studio visit or would like to have your portrait taken. I commenced studies at Hunter College, working toward my MFA. Welcome to my new web site. Thank you for internetting here.